Dr. Chris received his Bachelor of Science in Kinesiology with a minor in Psychology from the University of Saskatchewan in 2005. Then on a whim spent the next few years teaching English as a second language in Eastern Asia, where he was introduced to variety of non-traditional approaches to health and well-being that sparked his passion for Chiropractic. He went on to study at Palmer College of Chiropractic, the top Chiropractic school in the United States and in 2016 started practicing in Spruce Grove. In his practice, Dr. Chris sees patients as young as 2 weeks old up in to their 90’s, you are never too young or too old to enjoy the benefits of Chiropractic. A basic principle that Dr. Chris employs in practice is that the body is built to move, specifically the joints of the body. 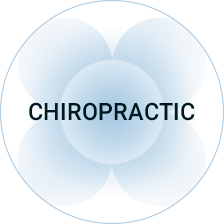 As a Chiropractor he uses a wide-variety of traditional methods and state of the art technologies to assess and correct the motion of your joints in order to keep you moving pain-free and enjoying the activities you choose to stay healthy. Whether it’s gardening or painting, hiking or biking, or just the day-to-day grind that keeps you active, Dr. Chris is here to help you do it as pain-free and comfortable as possible. Dr. Chris’s vision for health goes beyond your time spent with him at the clinic. He strives to provide his patients with home care programs to help engage them into taking control of their health, from stretches for those tight muscles to the proper use of ice vs. heat. Any questions regarding your care are taken into account and answered with your best interest in mind. I am most in my element when… I am surrounded by water. I am a Pisces, I feel at peace when I am in any body of water. So fittingly, my element is water. One of my favorite things to do in life is swim beneath crashing ocean waves. The water is a brute force on the surface, but underneath, the ocean is calm. To watch the wave rush overhead and yet be perfectly still beneath reminds me, that life can be a crashing wave but there is always peace to be found when you are in your element.